Arlington, Va. - November 21, 2014 - PBS Distribution announced today it is releasing Finding Your Roots With Henry Louis Gates, Jr. Season 2 on DVD. The basic drive to discover who we are and where we come from was at the core of the first season of the PBS series Finding Your Roots With Henry Louis Gates, Jr. Season 2 In the second, Professor Gates, the Alphonse Fletcher University Professor at Harvard University and director of the Hutchins Center for African and African American Research, continues his journey into the past to illuminate the familial histories of 29 of today's most recognizable names in sports, music, film, television, theatre, and literature. The premiere of the second season of "Finding Your Roots" comes on the heels of Professor Gates' Peabody Award-winning PBS series "The African Americans: Many Rivers to Cross." In each hour-long episode of the second season of "FINDING YOUR ROOTS," Gates continues his quest to, as he says, "get into the DNA of American culture." By weaving a group of celebrity stories together, each episode takes viewers on a journey through layers of ancestral history, uncovering familial secrets and sharing life-altering discoveries that ultimately reveal an intimate bond that links each individual's story together. "FINDING YOUR ROOTS WITH HENRY LOUIS GATES, JR. SEASON 2" has a run time of approximately 600 minutes on 3 discs. The DVD SRP is $39.99. This program will also be available for digital download. "We hope that viewers will find "FINDING YOUR ROOTS" to be a moving, uplifting, entertaining and enlightening experience," says Gates. "Genealogy is more popular than ever, but it's far more than a solitary pastime. It's a fascinating endeavor that alters both the way we think about historical events (because of our ancestors' roles in those events) and the way we think of ourselves." The episode construction of Season 2 explores a much wider array of themes than Season 1. In each episode, Gates focuses on the specific ethnic roots, cultural traditions and deep interplay of family influence and genetics of three guests, including: celebrity chefs Tom Colicchio, Aaron Sanchez and Ming Tsai, who cook the food of their ancestors and discover family members who have shaped their lives - and America's cuisine; Derek Jeter, Billie Jean King and Rebecca Lobo, three of America's greatest athletes whose determination and love of sports were deeply shaped by their families, but who were all cut off from their true origins - raising the question of whether champions are made or born; actress Tina Fey, humorist David Sedaris and journalist George Stephanopolous, all of whom look into their Greek American ancestry; and American playwright Tony Kushner, singer-songwriter Carole King and lawyer Alan Dershowitz, who not only share a Jewish heritage, but a history of perseverance in the face of withering opposition. In other episodes, actors Ben Affleck and Khandi Alexander come to realize their families have long been engaged in the battle for freedom and civil rights, but they had no idea that those principles were passed down through generations of ancestors. Gates also explores the history of the Vanderbilt family with Anderson Cooper, discovers a web of intimate relationships between Nas' slave ancestors and their masters, and traces Sting's roots back centuries in England where we find that being close to the seat of the Empire doesn't mean that life is any better. New advancements in DNA testing since the first season allow Gates and his team to use genetic genealogy to make unprecedented discoveries about the past in Season 2, including being able to identify tribal Native American ancestry, solve paternity mysteries, and pinpoint the geographic origins of hidden ancestry. These new achievements in DNA testing take center stage with an entire episode devoted to exploring the possibilities, all the while featuring the stories of actress Jessica Alba, Massachusetts Governor Deval Patrick and even Gates, himself. Working closely with leading U.S. genealogists (including Johni Cerny, co-author of the acclaimed The Source: Guidebook for American Genealogy) and ancestry experts from around the world, Gates and his production team comb through family stories to discover unknown histories and relatives the guests never knew existed. When paper trails end for each story, the team turns to top geneticists and DNA diagnosticians to analyze each participant's genetic code, tracing their bloodlines and taking guests back further in time than ever before. 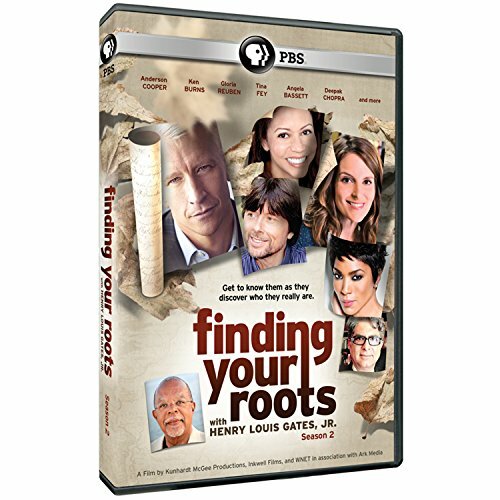 A "FINDING YOUR ROOTS" companion website (http://www.pbs.org/wnet/finding-your-roots) will present video from the series, profiles of featured guests and an ongoing blog from executive producer, writer and presenter Henry Louis Gates, Jr. In addition to his blog, the website will include blog posts and behind-the-scenes material from the production team. With a heavy focus on online engagement, the website will allow fans to submit stories about their own family histories complete with customized maps, and browse those others have uploaded. The website also will offer a comprehensive list of resources that viewers can use to learn more about their own genealogy. A "FINDING YOUR ROOTS" Facebook page (http://www.facebook.com/FindingYourRootsPBS) will provide fans with early access to video content, foster conversation among those fascinated by genealogy and spotlight user-submitted photos, videos and stories related to genetic lineages and family histories. In addition, Prof. Gates will participate in conversations leading up to and during broadcasts via his personal Twitter account (http://www.twitter.com/henrylouisgates). "Finding Your Roots: The Official Companion to the PBS Series" (Season One) by Henry Louis Gates Jr., will be published in September, 2014 by the University of North Carolina Press. Finding Your Roots With Henry Louis Gates, Jr. Season 2 is a production of Kunhardt McGee Productions, Inkwell Films and WNET in association with Ark Media. Henry Louis Gates, Jr., Peter Kunhardt, Dyllan McGee and Julie Anderson are executive producers. Stephen Segaller is executive producer in charge for WNET. John Maggio is senior producer. Major corporate support for "FINDING YOUR ROOTS WITH HENRY LOUIS GATES, JR. SEASON 2" is provided by Ancestry.com. Additional corporate funding is provided by Ford Motor Company, Johnson & Johnson and McDonald's. Major support is also provided by the Ford Foundation, Dr. Georgette Bennett and Dr. Leonard Polonsky, Candace King Weir, the Daryl and Steven Roth Foundation and Loida N. Lewis. Support is also provided by the Corporation for Public Broadcasting and PBS. Inkwell Films was founded by Henry Louis Gates, Jr. to produce sophisticated documentary films about the African and African-American experience for a broad audience. The most recent film, the six-part PBS documentary series, The African Americans: Many Rivers to Cross (2013), earned the 2013 Peabody Award and NAACP Image Award. Inkwell Films has co-produced Finding Your Roots (2012), Black in Latin America (2011), Faces of America (2010), Looking for Lincoln (2009), African American Lives 2 (2008), Oprah's Roots (2007), and African American Lives (2006). Inkwell Films is currently in production on Season Two of Finding Your Roots for PBS. Ark Media is an award-winning documentary film company founded in 1997 by the husband and wife producing team of Barak Goodman and Rachel Dretzin. Ark partnered with Kunhardt-McGee Productions on the Henry Louis Gates Jr. series, The African Americans; Many Rivers to Cross (2013), Finding Your Roots (2012), Faces of America, (2010) and also with Kunhardt-McGee, produced Looking for Lincoln (2009) and the Makers project for PBS. Ark's numerous films for the esteemed PBS series' Frontline and American Experience have won nearly every major broadcast award: the Emmy, DuPont-Columbia, Robert F. Kennedy, Writers Guild and Peabody Awards, as well as earning an Academy Award nomination and official selection to the Sundance Film Festival. The company is currently in production on the six-hour PBS series "Cancer: The Emperor of All Maladies" and a four-hour series for PBS, The Italian-Americans. Ark has also produced documentaries for the New York Times, American Movie Classics, ABC, and the History Channel. For more information, visit www.ark-media.net.